Michelle Alexander is a civil-rights advocate, lawyer, legal scholar, and professor. 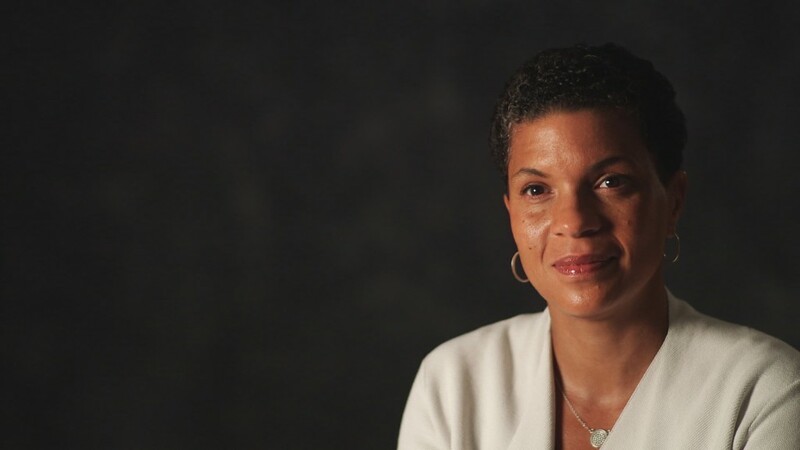 Michelle Alexander is the author of the bestseller The New Jim Crow, and a civil-rights advocate, lawyer, legal scholar and professor. She spoke with FRONTLINE about how the war on drugs spawned a system dedicated to mass incarceration, and what it means for America today. This is the edited transcript of an interview conducted on Sept. 5, 2013. It is a system that operates to control people, often at early ages, and virtually all aspects of their lives after they have been viewed as suspects in some kind of crime. Give me a sense of what’s happened over the last 40 years in terms of the numbers of people in prison, in terms of how it’s affected specific communities, whether it’s very high turnover or people coming on now. For a very long time, criminologists believed that there was going to be a stable rate of incarceration in the United States. About 100 of 100,000 people were incarcerated, and that rate remained constant up until into the early 1970s. And then suddenly there was a dramatic increase in incarceration rates in the United States, more than a 600 percent increase in incarceration from the mid-1960s until the year 2000. An exceptional growth in the size of our prison population, it was driven primarily by the war on drugs, a war that was declared in the 1970s by President Richard Nixon and which has increased under every president since. It is a war that has targeted primarily nonviolent offenders and drug offenders, and it has resulted in the birth of a penal system unprecedented in world history. So America has a higher incarceration rate than other nations. Do they have a higher crime rate than other nations? No. The United States actually has a crime rate that is lower than the international norm, yet our incarceration rate is six to 10 times higher than other countries’ around the world. It’s not crime that makes us more punitive in the United States. It’s the way we respond to crime and how we view those people who have been labeled criminals. Segregationists began to worry that there was going to be no way to stem the tide of public opinion and opposition to the system of segregation, so they began labeling people who are engaged in nonviolent civil disobedience and protests as criminals and as lawbreakers, and [they] were saying that those who are violating segregation laws were engaging in reckless behavior that threatens the social order and demanded … a crackdown on these lawbreakers, these civil rights protesters. This rhetoric of law and order evolved as time went on, even though the old Jim Crow system fell and segregation was officially declared unconstitutional. Segregation[ists] and former segregation[ists] began using get-tough rhetoric as a way of appealing to poor and working-class whites in particular who were resentful of, fearful of many of the gangs of African Americans in the civil rights movement. Pollsters and political strategists found that thinly veiled promises to get tough on “them,” a group suddenly not so defined by race, was enormously successful in persuading poor and working-class whites to defect from the Democratic New Deal coalition and join the Republican Party in droves. Unfortunately, this backlash against the civil rights movement was occurring at precisely the same moment that there was economic collapse in communities of color, inner-city communities across America. In an excellent book by William Julius Wilson, entitled When Work Disappears, he describes how in the ’60s and the ’70s, work literally vanished in these communities. Hundreds of thousands of black people, especially black men, suddenly found themselves jobless. As factories closed, jobs were shipped overseas, deindustrialization and globalization led to depression in inner-city communities nationwide, and crime rates began to rise. And as they rose and the backlash against the civil rights movement reached a fever pitch, the get-tough movement exploded into a zeal for incarceration, and a war on drugs was declared. So there was a rising crime rate at that point, but over the last 40 years, the incarceration rate has pretty much been exponentially up. Has the crime rate remained high as well through that time? Today, as bad as crime rates are in some parts of the country, crime rates nationally are at historical lows, but incarceration rates have historically soared. In fact, most criminologists and sociologists today will acknowledge that crime rates and incarceration rates in the United States have moved independently [of] each other. Ironically, at the time that the war on drugs was declared, drug crime was not on the rise. … President Richard Nixon was the first to coin the term a “war on drugs,” but it was President Ronald Reagan who turned that rhetorical war into a literal one. At the time President Reagan declared his war on drugs in 1982, drug crime was on the decline. It was not on the rise, and less than 3 percent of the American population identified drugs as the nation’s most pressing concern. So why would he declare an all-out war on drugs at a time when drug crime is actually declining, not on the rise, and the American public isn’t much concerned about it? Well, from the outset, the war on drugs had much less to do with … concern about drug abuse and drug addiction and much more to do with politics, including racial politics. President Ronald Reagan wanted to make good on campaign promises to get tough on that group of folks who had already been defined in the media as black and brown, the criminals, and he made good on that promise by declaring a drug war. 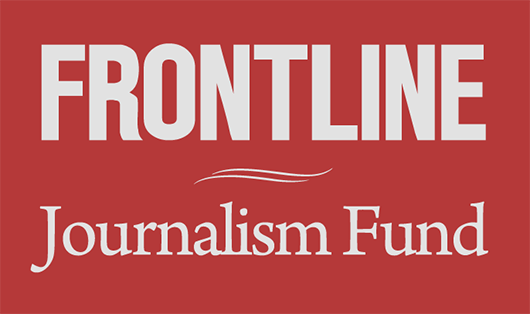 Almost immediately after his declaration of war, funds for law enforcement began to soar. But the crack epidemic hit after this declaration of war, not before. Many people assumed that the war on drugs was declared in response to the emergence of crack cocaine and the related violence, but that’s not true. The drug war had already been declared, but the emergence of crack cocaine in inner-city communities actually provided the Reagan administration precisely the fuel they needed to build greater public support for the war they had already declared. So the Reagan administration actually launched a media campaign to publicize the crack epidemic in inner-city communities, hiring staff whose job it was to publicize inner-city crack babies, crack dealers or so-called crack whores and crack-related violence, in an effort to boost public support for this war they had already declared [and to inspire] Congress to devote millions more dollars to waging it. The plan worked like a charm. Millions more dollars flowed to law enforcement. There was the militarization of law enforcement of the drug war as the Pentagon began giving tanks and military equipment to local law enforcement to wage this war. And Congress began giving harsh mandatory minimum sentences for minor drug offenses, sentences harsher than murderers receive, more than [other] Western democracies. And soon Democrats began competing with Republicans to prove they could be even tougher on them than their Republican counterparts, and so it was President Bill Clinton who actually escalated the drug war far beyond what his Republican predecessors even dreamed possible. It was the Clinton administration that supported many of the laws and practices that now serve millions into a permanent underclass, for example. It was the Clinton administration that supported federal legislation denying financial aid to college students who had once been caught with drugs. It was the Clinton administration that passed laws discriminating against people with criminal records, making it nearly impossible for them to have access to public housing. And it was the Clinton administration that championed a federal law denying even food stamps, food support to people convicted of drug felonies. So we see, in the height of the war on drugs, a Democratic administration desperate to prove they could be as tough as their Republican counterparts and helping to give birth to this penal system that would leave millions of people, overwhelmingly people of color, permanently locked up or locked out. I would say the Bush administration carried on with the drug war and helped to institutionalize practices, for example the federal funding, drug interdiction programs by state and local law enforcement agencies, and the support for sweeps of entire communities for drug offenders, communities defined almost entirely by race and class. So the drug war was born by President Richard Nixon and President Ronald Reagan, but President Bush, both of them, as well as President Clinton, escalated the drug war. And sadly we see today, even with President Obama, the drug war being continued in much the same form that it [was] waged back then. … Why should we care? Why should we pay attention to this? I think most Americans have no idea of the scale and scope of mass incarceration in the United States. Unless you’re directly impacted by the system, unless you have a loved one who’s behind bars, unless you’ve done time yourself, unless you have a family member who’s been branded a criminal and felon and can’t get work, can’t find housing, denied even food stamps to survive, unless the system directly touches you, it’s hard to even imagine that something of this scope and scale could even exist. But the reality is that today there are more African Americans under correctional control in prison or jail, on probation or parole, than were enslaved in 1850, a decade before the civil war began. More black men are disenfranchised today as a result of felony disenfranchise[ment] laws. They were denied the right to vote in 1870, the year the 15th Amendment was ratified, prohibiting the laws that denied the right to vote on the basis of race. There are 2.3 million people living in cages today, incarcerated in the United States, and more than 7 million people on correctional control, being monitored daily by probation officers, parole officers, subject to stop, search, seizure without any probable cause or reasonable suspicion. This is a massive apparatus, and that system of direct control of course doesn’t even speak to the more than 65 million people in the United States who now have criminal records that are subject to legalized discrimination for the rest of their lives. 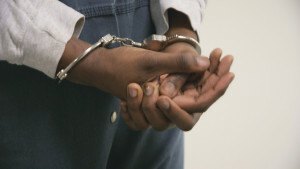 The impact that the system of mass incarceration has on entire communities, virtually decimating them, destroying the economic fabric and the social networks that exist there, destroying families so that children grow up not knowing their fathers and visiting their parents or relatives after standing in a long line waiting to get inside the jail or the prison — the psychological impact, the emotional impact, the level of grief and suffering, it’s beyond description. And yet, because prisons are typically located hundreds or even thousands of miles away, it’s out of sight, out of mind, easy for those of us who aren’t living that reality to imagine that it can’t be real or that it doesn’t really have anything to do with us. What is it like for someone leaving prison? Talk me through the restrictions, the monitoring, the things they are locked out of for the rest of their lives. I think most people have a general understanding that when you’re released from prison, life is hard. You have to work hard to get your life back on track, get it together. But I think most people imagine if you really apply yourself, you can do it. It just takes some extra effort. The people who believe that rarely have actually been through the experience of being incarcerated and branded a felon. When you’re released from prison in most states, if you’re not fortunate enough to have a family who can support you and meet you at the gates and put you up and give you a job, if you’re like most people who are released from prison, returning to an impoverished community, you’re given maybe a bus ticket, maybe $20 in your pocket, and you return to an impoverished, jobless community. You’re now branded a criminal, a felon, and employment discrimination is now legal against you for the rest of your life. It doesn’t matter how long ago your conviction occurred. It doesn’t matter if it was five weeks, five years ago, 25 years ago. For the rest of your life, you have to check that box on employment applications asking have you ever been convicted of a felony. Hundreds of professional licenses are off limits to people who are convicted of a felony, and sometimes people will say, well, maybe they can’t get hired, but they can start their own business; they can be an entrepreneur. In some states you can’t even get a license to be a barber if you’re convicted of a felony. Can’t get a job. Can’t find work in a legal economy anywhere. Housing discrimination is perfectly legal against you for the rest of your life. In fact, you can be denied access to public housing based only on a [reference], not even convictions. Discrimination by private landlords as well as public housing projects and agencies, perfectly legal. You’re just out on the street. Discrimination in public benefits is perfectly legal. In fact, under federal law, you’re deemed ineligible for food stamps for the rest of your life if you’ve been convicted of a drug felony. Fortunately many states have now opted out of the federal ban on food stamps, but it remains the case that thousands of people can’t even get food stamps, food support to survive, because they were once caught with drugs. What are people who are released from prison expected to do? … Apparently what we expect people to do is to pay hundreds or thousands of dollars in fees, fines, court costs, accumulated child support, which continues to accrue while you’re in prison. And in a growing number of states, you’re actually expected to pay back the cost of your imprisonment, and paying back all these fees, fines and court costs can actually be a condition of your probation or parole. What do we expect those [people] to do? When you take a look at the system, when you really step back and take a look at the system, what does the system seem designed to do? It doesn’t seem designed to facilitate people’s re-entry, doesn’t seem designed for people to find work and be stable, productive citizens. No, if you take a hard look at it, I think the only conclusion that can be reached is that the system as it’s presently designed is designed to send people right back to prison, and that is in fact what happens the vast majority of the time. Most people who are released from prison return within a few years, and the majority in some states return in a matter of weeks or months, because the challenges associated with mere survival on the outside are so immense. We’ve been working in Kentucky, where felons have been disenfranchised for life. Tell me about how that works and also what it means, what it signifies. There is no rational reason to deny someone the right to vote because they once committed a crime. We live in a democracy, of the people by the people, one man, one vote, one person, one woman, one vote. In other Western democracies, prisoners are allowed to vote. There’s actually voting drives that are conducted inside prisons. But here in the United States, it’s not only [that you are] being stripped of the right to vote inside prison, but you can be stripped of the right to vote permanently in some states like Kentucky because you once committed a crime. Now, if we adopt this attitude, we can’t pretend then to really care about creating safe communities. We can’t pretend that this system that we devised is really about public safety or serving the interests of those we claim to represent. Tell me what effects locking up so many people from one small community has on that community and what horizons and possibilities it then presents to the youth coming up in that community. Some scholars have actually argued that the term “mass incarceration” is a misnomer, because it implies that this phenomenon of incarceration is something that affects everyone, or most people, or is spread evenly throughout our society, when the fact is it’s not at all. Mass incarceration in the United States isn’t a phenomenon that affects most. It’s concentrated in extremely small pockets, communities defined almost entirely by race and class, and in these communities it’s not just one out of 10 who serve time behind bars. No, often one out of three are likely to do time in prison. And in communities of hyperincarceration that can be found in inner-city communities, in [Washington], D.C., in Chicago, in New York — the list goes on — you can go block after block and have a hard time finding any young man who has not served time behind bars, who has not yet been arrested for something. And in these communities where incarceration has become so normalized, when it becomes part of the normal life course for young people growing up, it decimates those communities. It makes the social networks that we take for granted in other communities impossible to form. It makes thriving economies nearly impossible to create. It means that young people growing up in these communities imagine that prison is just part of their future. It’s just part of what happens to you when you grow up. And the behavior of the police in many of these communities only reinforces it as they stop, frisk, search people no matter what they’re doing, whether they’re innocent or guilty. It sends this message that you’re going to jail one way or another no matter what you do, whether you stay in school or you drop out, or if you follow the rules or you don’t. You’re going to jail just like your uncle, just like your father, just like your brother, just like your neighbor. You, too, are going to jail. It’s part of your destiny. And it affects one’s mindset. It affects people emotionally. It’s growing up not knowing and forming meaningful relationships with their relatives, their parents. But it’s also devastating for people who come out and want to do the right thing by their family and aren’t able to find jobs and support them. I can’t tell you how many young fathers I have met who want nothing more than to be able to support their kids, maybe get married one day, but they have no hope of ever being able to find a job, [no] hope of doing anything else than cycling in and out of jail. You could look at the numbers and say, OK, crime rates are at historic lows in the United States; incarceration rates are at historic highs — great, it works. Locking all these people up has bought crime rates down. So if you view this as the great prison experiment, as an effort to eradicate crime, has it been successful? Many people imagine that mass incarceration actually works because crime rates are relatively low now, so hasn’t this worked? Hasn’t this been a grand success story? The answer is no. We have decimated millions of people’s lives, locked up and locked out millions of people, but in the places where the war on drugs has been waged with the greatest intensity, places where we have locked up the most people, gone on the most extraordinary incarceration binges, crime rates remain high and have actually increased. In places like Chicago, in New Orleans, in Baltimore, in Philadelphia, where crime rates have been the most severe, incarceration has proved itself to be an abysmal failure as an answer to the problems that need to be addressed. [There] seems to be something almost counterintuitive going on here, that once you start locking up too many people, you can actually start to destroy the social fabric of a community to the point where it creates the conditions for crime rather than prevents crime, which one would assume was in some people’s minds the point of incarceration. One might assume that the more incarceration you have, the less crime you would have. The research actually shows, though, that quite the opposite is the case once you reach a certain tipping point. More than half of the people locked up in the community we’re focused on are locked up for selling drugs. Does locking up people selling drugs stop the drug trade in a neighborhood? … Since the war on drugs was declared, there has been an exponential increase in drug arrests and convictions in the United States. Between 1985 and 2000, more than two-thirds of the increase in the federal population and more than half of the increased state prison population was due to drug convictions alone. Drug convictions have increased more than 1,000 percent since the drug war began. To get a sense of how large a contribution the war on drugs has made to mass incarceration, think of it this way: There are more people in prisons and jails today just for drug offenses then were incarcerated for all reasons in 1980. We have seen that today, 40 years after the drug war was declared, illegal drugs in many respects are cheaper and more readily available than they were at the time the drug war was declared. It’s difficult these days to find politicians who will openly defend the drug war on the grounds that it’s actually worked or that we are any closer to winning it than we were 40 years ago. And yet the war goes on. It goes on and on, and every day people are arrested for minor drug offenses, branded criminals and felons, and then locked away and then relegated to permanent second-class status. Simply arresting people for drug crimes [does] nothing to address the serious problems of drug abuse and drug addiction that exist in this country. The war goes on, as you said, but there are efforts underway in various states … to start to change things. … The aim is to reduce the jail population to save money. The idea in principle is to pump that money back into treatment and, in theory, things that will help prevent crime rather than exacerbate it. Could you talk to me about what is good about these initiatives underway in various states but also about their limitations? It’s encouraging that in states like Kentucky and Ohio and in many other states around the country, legislation has been passed reducing the amount of time that minor, nonviolent drug offenders spend behind bars. It’s a step, a positive step in the right direction. The concern, though, is that these reforms are motivated primarily because of money, fiscal concerns. State budgets have been struggling to meet basic expenses for prisons, [and] these bloated prison budgets have created a situation where politicians either have to ask taxpayers to pay up, pony up more money, raise taxes, or downsize our prisons somewhat. And because these reforms have been motivated primarily out of concern about tax dollars rather than out of genuine concern about the communities that have been decimated by mass incarceration, people who have been targeted in this drug war and their families, the reforms don’t go nearly far enough. We may reduce the size of prison population in some states somewhat by reducing the length of time some people spend behind bars, but as long as people, when they’re released from prison, still face legal discrimination in employment and housing, are still denied food stamps, are still denied financial aid and access to education to improve themselves, they’ll be back. That revolving door will continue, and they may stay for a shorter period of time, but that castelike system that exists will remain firmly intact. If we don’t do something to reform our probation and parole systems and turn them into systems that are actually designed to support people’s meaningful re-entry in society rather than simply ensnare people once again into the system, we can continue to expand the size of our prison population simply by continuing to revoke people’s probation and parole and keep that revolving door swinging. In fact, the problems associated with our probation and parole system became so severe that by the year 2000, there were more people incarcerated just for probation and parole violations than were incarcerated for all reasons in 1980. So without major, drastic, large-scale change, this system will continue to function much in its same form. The question is whether we have the political will to do what is required. If we were to return to the rates of incarceration we had in the 1970s, before the war on drugs and get-tough movement really kicked off, we would have to release four out of five people who are behind bars today. More than a million people who are currently employed by the criminal justice system would need to find a new line of work. Most new prison constructions employ predominantly white rural communities, communities that are struggling themselves economically, communities that have come to view prisons as their source of jobs, their economic base. Those prisons would have to close down. Private prison companies now listed on the New York Stock Exchange would be forced to watch their profits vanish if we do away with the system of mass incarceration. This system is now so deeply rooted in our social, political and economic structure, it’s not going to just fade away, downsize out of sight with a little bit of tinkering of margins. No, it’s going to take a fairly radical shift in our public consciousness, … and that is going to be a change of mind, a change of heart that will be a hard one, but it’s necessary if we’re ever going to turn this system around. The long list you gave me there of obstacles to reform felt insurmountable as you were going through them. What can be done? What is being done other than this tinkering, as you say, to move things in a more just direction? Despite the extraordinary obstacles, I remain hopeful and optimistic that a movement against mass incarceration is being born in the United States. It exists in communities large and small. Nationwide, young people are organizing against mass incarceration on campuses. Formerly incarcerated people are organizing a movement to abolish all the forms of discrimination against them, voting and housing and employment, access to public benefits. There is a movement for major drug policy reform as well as a movement for restorative justice, to shift away from a purely punitive approach to dealing with violent offenders to a more restorative one that takes seriously interests of the victim, the offender and the community as a whole. So there is a movement being born, and while the obstacles are great, I have to remember that there was a time when it seemed that slavery would never die. There was a time when people said segregation forever, Jim Crow will never die, and the Jim Crow system was so deeply rooted in our social and economic and political structure and all aspects of social, political and public life, it seemed impossible to imagine that it could ever fade away. And yet the movement was born. People who recognized the gap between what we were doing, who we are, and who we wanted to be as a nation and were willing to fight for it, to make sacrifices for it, to organize for it, to speak up and to speak out even more than when it was unpopular, that kind of movement is being born again. … Talk to me about youth detention and how that affects life chances and the chances of being incarcerated later in life as well. In communities where there are very high rates of mass incarceration, communities that have been hit hardest by the system of mass incarceration, the system operates practically from cradle to grave. When you’re born, your parent has likely already spent time behind bars, maybe behind bars at the time you make your entrance into the world. And at a very young age, you find that you are going to be viewed as suspicious and treated like a criminal. No matter who you are, what you’ve done, you’ll find that you’re the target of law enforcement suspicion at an early age. You’re likely to attend schools that have zero-tolerance policies, perhaps where police officers patrol the halls rather than security guards, where disputes with teachers are treated as criminal infractions, where a schoolyard fight results in your first arrest rather than a meeting with the principal and your parents. You find that a very young age, even the smallest infractions are treated as criminal. You’re criminalized at a young age, and you learn to expect that that’s your destiny. You, one way or another, are going to jail. When we think of criminals, we typically think of the worst kind of rapists or ax murderers or serial killers, or we conjure the grossest caricature of what a criminal is and think that is who’s behind bars, that is who’s filling our prisons and jails, when the reality is that most people’s introduction to the criminal justice system when they live in these ghetto communities is for something very small, something minor. Maybe they were stopped and searched and caught with something like weed in their pocket. Maybe they got into a fight at school, and instead of having a meeting with a counselor, having intervention with a school psychologist, having parental and community support, instead of all that, you got sent to a detention camp. Suddenly you’re treated like a criminal, like you’re worth nothing. You’re no good and will never be anything but a criminal, and that’s where it begins. Then we feign surprise that these young people then wind up very often with serious problems, emotional problems, act out in violent ways. We act surprised, and yet what have we done? What messages have we sent? How have we treated them? What forms of violence have actually been perpetrated by us, the state, the government, us collectively, upon them? I think we ought to spend a lot more time thinking about how young people are criminalized at early ages rather than just imagining that a life of crime is somehow freely chosen. Many young people find they are criminalized long before they ever are able to make choices about who they want to be in our society. … What effect does locking up so many people from one concentrated neighborhood have on that neighborhood? Locking up extraordinary numbers of people from a single neighborhood means that the young people in those neighborhoods imagine that incarceration is their destiny. They have no reason to believe otherwise. All evidence suggests that that is in fact their fate. It also means that in these communities, the economic structures have been torn apart. There are very few people who are able to work because they’ve been branded criminals and felons. The economic base in those communities is virtually nonexistent. Jobs are often nonexistent in these communities. Housing is often difficult to come by or tenuous. People find themselves rotating from home to home, sleeping on couches or trying to find places to stay because they can’t get access to basic housing. Getting access to education or public benefits is very difficult. When this happens on a large scale, when most people in the community are struggling in precisely this way, the social networks are destroyed. And it is a virtual statistical inevitability that if you’re raised in that community, you too will someday serve time behind bars. Why is there so much drug abuse in Beecher Terrace? Drug abuse and drug addiction is not unique to poor communities of color. It is like this everywhere in America, but how we respond to drug abuse and drug addiction in poor communities of color is radically different than how we respond to it in more privileged communities. If you’re middle class, upper-middle class, living in the suburbs, and your son or daughter becomes dependent on drugs, experimenting with drugs, the first thing you do is not call the police. The first thing you do is figure out, how can I get my child some help? If you’re a schoolteacher working in a suburban school, and you come to discover that a child in your school may be struggling with drugs or have a drug abuse problem, the most likely response is not to call the police. The most likely response is to get them help. And in fact, if you’re struggling with depression in a middle-class, upper-middle-class community, you can get prescription drugs, lots of them, lots of legal drugs to deal with your depression, your angst, your anxiety. But in ghetto communities, where there is more than enough reason to be depressed and anxious, you don’t have that option of having lots of hours in therapy to work through your issues, to get prescribed lots of legal drugs to help you cope with your grief, your anxiety. No, people in these communities have little choice but to self-medicate, and when they do, when they decide to turn to marijuana or turn to cocaine or turn to some type of substance we’ve designed, we’ve decided is prohibited, is off-limits, then rather than responding to these people with drug treatment and say[ing], “How can we help you cope with your crisis and help you through this period of time and help you deal with your drug addiction?,” instead we say: “Oh, the answer for you is a cage. We’re going to put you in a cage, lock you in a literal cage, treat you like an animal, and when you’re released, we’re going to make it almost impossible for you to find work or housing or care for your children.” That’s our answer to drug abuse and drug addiction in these communities. If we really cared about people who lived there, would that be our answer? I think not. I think the way in which we respond to drug abuse and drug addiction in these communities speaks volumes about the extent to which these are people we truly care about.